This article is going to be an entirely different one from me, I usually write about, gadgets, cars, bikes which have been already released, but here I am writing about the upcoming Giant from Samsung-The Galaxy Note 7. Here I would love to state some amazing and interesting facts about the upcoming smartphone quoted by Samsung as the most intelligent smartphone in the world and rightly so. Here I would tell you what the smartphones is going to offer and how it justifies the Note line-up. The Note line-up of smartphones is my personal favourite and with each new edition the company has brought great features with utmost quality and practicality to the fore. People love the Note Series and the last edition in the series the Note 5 was the best Note, ever made by Samsung. 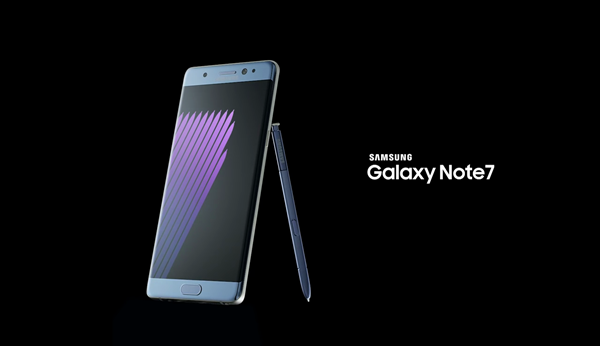 Now with the new release of the latest Note 7 being slated on August 19, the Note 7 is no doubt going to take the world by storm. Here weeks before its slated release I would like to acquaint you with some important and amazing features which the Samsung Note 7 is going to possess. Here I would love to just tell you about some important and worth mentioning stuff which Note 7 is going to have. The company has upgraded everything from the design and the S-pen Stylus to the battery, performance and camera. I will actually come up with a detailed review of the new Samsung Galaxy Note 7 once it is released, but here is just a peek into the Most Intelligent Smartphone in the World- the Samsung Galaxy Note 7. Here are some important facts about the phone which I personally feel that they are equally amazing too. There is no doubt that this smartphone is going to be the best designed smartphone ever created by the company. Design wise this Note will be quite similar to the outgoing Note 5 which in itself was a very sleek and beautiful design. 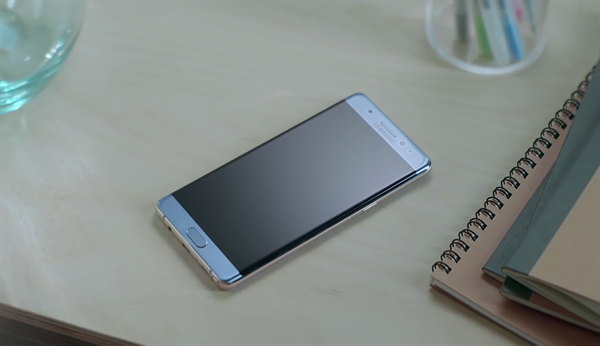 Here the Note 7 also has an all glass design, but what is amazing here is that the screen is curved on both the sides. Well this culminates in screen forming edges on both sides because of which your experience using this wonderful phone is going to be excellently superb viewing experience. Be it playing High-End powerful games, viewing High-Definition videos, viewing photos or taking photos using the versatile and powerful camera everything is going to be larger than life experience. I am a very big Note Fan and I cannot wait any longer to grab my hands on the latest Note from Samsung. The display is going to be a Quad HD one with more PPI and a bit more improved punchier natural colours. The design is going to be a head turner. You will be captivated by the new design. I bet you. Now you can unlock your smartphone with just looking at the screen. 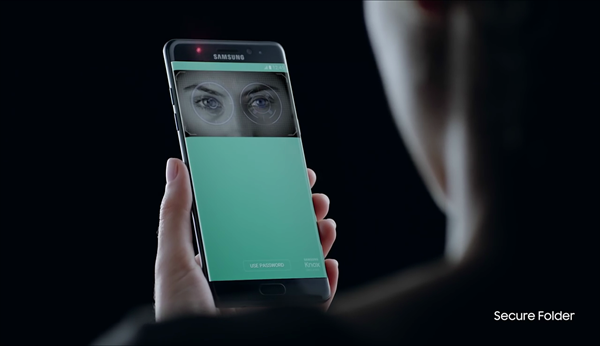 What the iris scanner does is it scans the iris in the eye to distinctly lock the phone by just reading typical patterns in our iris. This is a very unique feature and the first time ever in a smartphone. The efficiency and the consistency of the iris scanner is not what we know till now but we will know about it once the smartphone gets released. This is, I would say, one of the most innovative features on the upcoming Note 7. 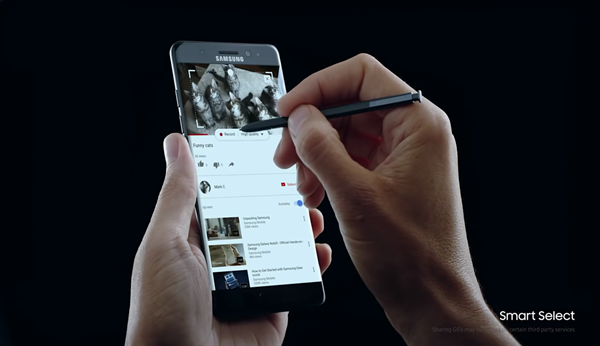 The Note is not a Note if there is no S-Pen Stylus with it. Now the S pen in itself is a big thing, now with this new release, the company has taken the S Pen to a whole new level. The S Pen now comes with even more easy to use formula with the tip being reduced to 0.7mm from the earlier 1.6mm thickness giving the S Pen a real pen like feel. It also has intuitive features like the translator, where just hover the Pen over any word which is in any foreign language and it will translate the word for you on the go. The Pen this time around is more customised and engineered in the most pioneering way to really get the feel of using a real pen on paper. These features take the experience to a whole new level. It also has features like the, writing down important notes and keeping it on top, on the screen (always on screen). Now what I personally love is the new Samsung Notes feature which aggregates everything you do with the Stylus, which is really handy because there is no need to waste time searching for your favourite files around. The user experience has also been polished enough to give you the up market and latest feel. The bugs and minor stutter around the previous Note devices has been possibly taken care of, but we can't tell anything till we get to use the phone ourselves. The Icons have been rounded a little to give the UI a bit cooler look. The user experience too will be great once the phone rolls out this month. This is by far the best feature about this classy and beautiful phone. It is an IP68 rated device which means that it can survive under water at about 5 feet for about 30 minutes. 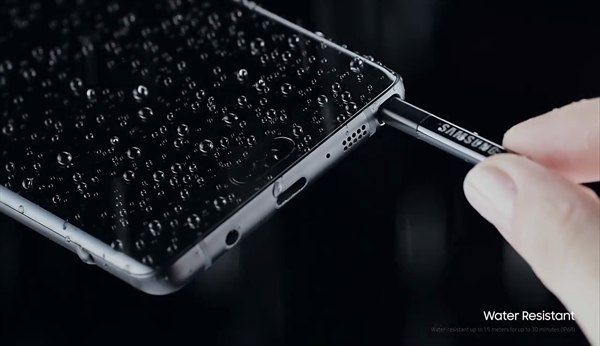 Now smartphones becoming water resistant is not a matter of brag any more but what Samsung does here is amazing. The S-Pen Stylus is water proof too, which means you can pop out S Pen even in heavy rain and note down a quick "Note" without the fear of getting your S Pen Stylus wet and damaged. You are banking on a clearly fantastic performer, no doubt at all. This time around the Note 7 comes with a bigger 3500MAH battery which is the biggest ever put into a Note by Samsung and with all the important power saving modes and fast charging, the battery performance is going to be great. The picture engine on board the Note 7 is the same engine which is used in Samsung's High- End TV sets, by the virtue of which it gives a fantastic viewing experience. Now one of the biggest boons I would depict here is of course the storage, which has been upgraded to 64 gigs from the previous base 32 gigs. Now Samsung has not stopped even here, it has even provided the Note 7 with an expandable storage slot with the SD card supporting up to 256GB. Now plainly speaking this is a hell lot of storage. This is the last thing which I am going to tell you all. The camera is undoubtedly one of the best in the world. Samsung has taken the camera from the Flagship S7 edge and has planted that into the Note 7. The S7 without a doubt was the best camera on a smartphone till date and the new camera on the Note 7 will not be any different. Even though I am not stating how many MP the camera will possess, I can say that the camera will help you to be on top of the world. Now these are some facts about the new upcoming Samsung Galaxy Note 5, and because of which I think people opting for flagships should go. I will write a detailed review about the smartphone when it releases on August 19, till then see you guys.